Last week was our very first Chicagoland wedding! And we couldn’t have asked for a better event. Lauren and Reid are an adorable couple and threw an amazing party to celebrate their new marriage. The reception was held at Fishermen’s Inn in Elburn, an elegant and rustic space with great food and incredibly helpful staff. The live band, Orchestra 33, topped it all off and got everyone into the celebratory spirit. The evening was wonderful and we loved being able to send home guests with photos to remember it for years to come! Lauren and Reid were amazing people to work with. We were able to design their prints to match their wedding invitation, which is a great way to bring all the little details together. They even sent us some of their engagement photos to use on the Booth's home screen. Everything was completely customized to be all about them. They even went above and beyond and provided their own props to use with the Booth, which we absolutely love! 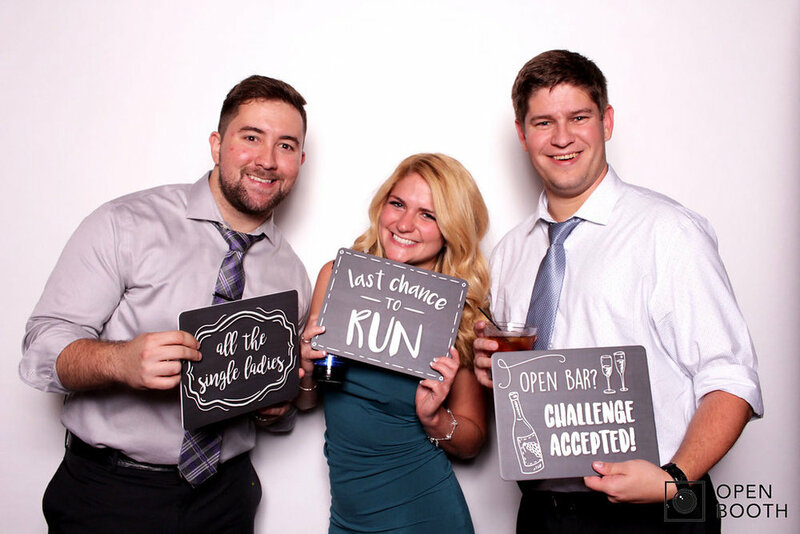 Their wedding fell on Halloween weekend, so they had out some fun themed stick props and signs. Plus, they had hats shaped like French fries for guests to use —a nod to the french fry shooters they served as a late night snack. 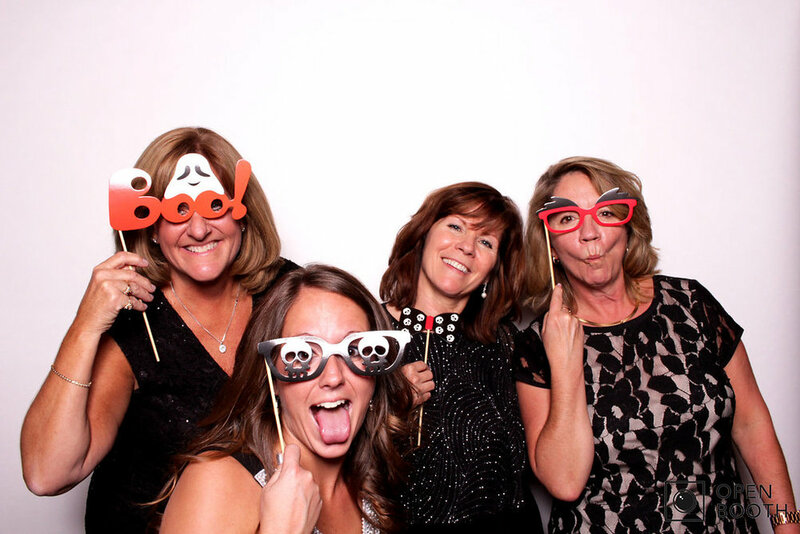 All of their guests loved the Booth and had a blast taking endless photos.